Remember when you were a kid and everything you put in your mouth was a new experience? It’s not too late to relive it. Britain has a reputation for terrible food, and I’m not sure where that comes from. What I will say, though, is that British foods don’t tend to travel the same distances that American foods do, and I suspect this reduces the amount of additives and preservatives injected for shelf life. In the States, you can hardly find a salad dressing or tomato sauce without sugar added, and salt intake is on the high end even if you don’t own a shaker. British foods, on the other hand, are pretty much “season to taste,” which requires a trifling amount of effort but actually works out rather well if, like me, you’re also starting to realize how shamefully inept you are at the most basic fundamentals of feeding yourself. I’m actually more than a little proud that I’m learning to strike that precarious balance between seethingly bland and plate-of-pure-salt. A proper British pub spread. I can also say that Britain isn’t likely the easiest place to be vegan or vegetarian. I have observed vegetarian and gluten-free options on products and menus, but on the whole the cornerstone of the British diet is heavily geared to dairy, grains, and meat. By far the most oft-found foods are some form of meat or dairy food in a pastry. There are meat pies, pasties, sausage rolls, Scottish eggs, macaroni pies… more combinations than I can wrap my head around, and all of them infuriatingly delicious. It’s set my efforts to reduce my grain intake back decades. Regrets? Undetermined. One of the things that I missed the most when I arrived here was Hickory Farm’s summer sausage, but a favorite British dish of mine is “Bangers & Mash”: three hefty sausages crowning a simple plate of mashed potatoes and gravy. I finally took it upon myself to ask the server what kind of sausages they served, which turned out to be Cumberland, and was thus elated to discover these at the market. Cumberland sausages are pre-seasoned with a distinctive combination of herbs and spices, and these have become my staple summer-sausage-substitute. I would happily stock each, but I fear I may have a harder time reverting than converting. Back in the States, I also liked to keep a block of cheddar in the fridge to slice up for an easy afternoon snack. When I made my first grocery run in the UK, I looked at the cheddar askance. There were no brands I was familiar with, and the blocks were labeled, “Mild” or “Mature” – not “Medium” and “Sharp” as I was used to. Were these equivalent? Would “Mature” have a weird flavor? I chanced it and bit into my first slice with trepidation, fearing a waste of a good fiver. As the taste hit my tongue, my face reflexively grimaced; it was immediately clear that this was not the cheddar of my experience. And then the second wave of flavor hit my tongue… little neurons of new information exploding ecstatically into my brain. My eyes widened. I paused mid-bite, savoring the developing taste sensation. It reminisced of something I’d once sampled from a fancy platter of delicatessen cheeses I could never afford. But this was just a common-variety block of cheddar purchased for a few pounds from the bottom shelf of the local grocer. 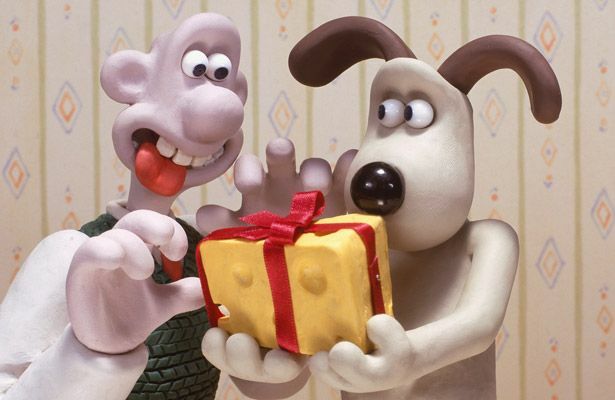 I quickly ensconced another chunk between the roof of my mouth and tongue, lingering on my newfound luxury as the voice of British claymation star Wallace, of Wallace and Gromit fame, burst into my memory espousing the virtues of cheese. Suddenly it stopped being silly. “Taste the butter,” said Flora evilly. The motto of the American market seems to be “fast and cheap;” perhaps an unfortunate artifact of the magnitude of our population and economy. But the Scots do things a little differently. A bit of googly sleuthing turned up this article on thekitchn.com which says that European butter is cultured, churned, and allowed to ferment longer, resulting in the festival of complexity on your tongue. I’d imagine the cheese-making process is similar. Dairy products, in general, seem to be something you can depend on for happiness. You might have heard that if you haven’t had proper European chocolate then you simply haven’t had chocolate. Sorry to break it to you, but it’s true. I thought I was above that crutch until a friend introduced me to the real stuff, and now a day is incomplete without a few squares of Lindt with my shortbread (a crumbly, buttery cookie) and tea. I’ve blathered before about my obsession with crumpets, and I’ll blather some more. The pleasure of a crumpet, as I recently lamented to my mum, is almost not worth the sacrifice of finishing it; the flavors still dancing away on your taste buds as you stare at the now tragically empty plate. I call this “crumpet remorse,” and I subject myself to it daily. The U.S. is SERIOUSLY missing out on these things, and I can’t for the life of me fathom why. Instead, in the States we stock their outrageously inferior cousin, the “English Muffin.” They may appear similar, but English Muffins are dense, dry and taste in my expert opinion like compressed cardboard. Crumpets, on the other hand, are light, airy, porous, buoyant squishy sponges of flavourful fun. Whatever you put on them, the bread absorbs it so that the entire muffin is thus infused. When I return to the grievously-deprived States, I may leave my clothes in favor of a carton of crumpets. How to crumpet: As I understand it, most Scots just ready it in the toaster like your ordinary slab of wheat, but since I like to fry up an egg and sausage for breakfast, I toss the crumpets into the skillet as well. The result is a soft and spongy concoction on the inside with an outwardly crispy crunch. Personally I like to top one off with a square of salted butter and (optionally) a smidge of jam. I lay a fried egg over the other and nibble on my jammy crumpet while I melt a slice of Scottish cheddar in the still-hot skillet. As soon as that’s soft, I pour it over the egg and nip into the most delicious anti-mcmuffin you could imagine. When they hear you’ve been to the UK, Americans will love to ask: “How was the food?” in tones that sounds more in line with the question, “How was the toothache?” If you ever have the pleasure of the answer, be sure to tell them it’s terrible. More wealth for the rest of us. “When” Rather than “If.” My Return Home. It has been one week since I boarded my plane from Riga, Latvia to return to my home among the hills of West Virginia. Before my departure, I felt a different type of sensation that I have never experienced before in my international travels. Most return journeys involve me vigorously shoving my clothes and copious amounts of chocolate that I will disperse as souvenirs into my bag. After packing, I would run to the airport clicking my heels and skipping like a scene from Willy Wonka and the Chocolate Factory. This time around, I packed my bag and sat in disbelief at the airport, depressingly waiting for my departure. Why was I so sad? Was I not excited to return home? Should I feel guilty for not wanting to come home? The Jurmala street market where most vendors sold traditional Latvian souvenirs and amber jewelry. I struggled with answering these questions throughout the entirety of my flight home. I had been in Latvia in an entirely different capacity this time around, interning instead of studying. In this new life, living alone and working a 9-5 job overseas presented numerous challenges. At times I felt lonely, coming home to an empty house. Sometimes I felt frustrated and exhausted from a long day at work. Despite these feelings, as time passed I grew accustomed to my new lifestyle. I made new friends from work, I did more solo travel around the city and its surrounding areas, and I became comfortable with my work. I think deep down I am a creature of comfort and habit. While at times complacency can be detrimental to your growth, for me, it also opened doors to eventual normalcy in a new environment. I have grown to cherish my ability to find a “new normal” in diverse settings. Mostly, I miss my friends in Latvia. As my internship at the U.S. Embassy completed, their internships all continued into the fall. We developed a routine of sorts, walking to the cafeteria for lunch and to the bus stop at the end of our work days. We met for dinner outside of the office at least once a week to discuss life other than the daily perils of office work. Additionally, I miss the language. I enjoyed sharpening my Russian skills in a suitable environment, consistently able to find someone in the market, restaurant, or store to converse with in Russian. The people of Latvia are some of the most accommodating and accepting people I have come to encounter on this planet. Conversations with the local Latvians left me with more knowledgeable about what it meant to be in their shoes. Through my conversations, they passed on to me their culture, language, and history. I adored the unplanned conversations that lingered in my mind for days following. Climbed to the top of the man made forest overlook with my friends and fellow interns: Alexa (left), Emily (center), and Glebs (right). Here, I sit in a café in the U.S. recalling these memories, and I must admit I fell somewhat victim to the ills of reverse culture shock. Specifically, I struggled mostly with interactions back home with random people. In Latvia, I did not know the Latvian language, which is spoken predominantly around the city along with Russian. When people in Riga would be speaking Latvian, I would tune them out. Once I arrived back to the U.S. I felt slightly overwhelmed with the amount of chatter in English and found myself often intruding into conversations simply because I could understand what they were saying. Further, I was accustomed to my new daily operations. My wake up, walk to work, etc. ; all of it became such a joyful experience. I have had to relearn my old routines and get back into studying and doing school work as opposed to my internship at the Embassy. I became so intertwined into my little cycle and circle in Latvia, which is innately hard to change. Therefore, I sometimes find myself fantasizing or recollecting memories and not paying attention to what is happening before my eyes in reality. I know that this will fade, and I will again find my rhythm, but until then I will continue to indulge in the pictures and memories from my experience. There is nothing wrong with a day dreamer. Walking through the park in Jurmala on my final evening in Latvia. I’m sitting in the airport at Newark waiting to catch my flight to Austin. Only ten hours have passed since I boarded my flight to the United States and I’m already homesick for Italy. I wasn’t ready to come home. The last seven weeks have been challenging, exhausting, and inspiring – sometimes all at once! Since my divorce I’ve been very introverted and reclusive. I purposefully elected to take a study abroad trip to help me overcome my hesitation at putting myself out there and taking risks. As I move forward into the job market, I’ll need to be able to navigate the sea of rejection that will come when I start interviewing. I know it sounds melodramatic, but I’m starting a career very late in life – I’ll be 42 when I graduate. Most of my friends my age have been working in their chosen career fields since their mid-20’s. It’s all new to me. So, when I left for Italy, I wasn’t sure what to expect. I wasn’t sure if I could handle the unknowing of it all. How to get around. What to eat. Where to shop. How to dress. What to say, when to say it, and how to say it. And I wasn’t sure if I would ever get past feeling like a tourist to feeling at home in a foreign country. As an older, non-traditional student, I’m kind of set in my way on some things, as it happens when you are a bit older. (You know- I only buy this one type of toothpaste, I only use this one type of laundry soap, I never eat this or that.) I knew Italy would require I be flexible on a lot of things and, as a single mom of four, flexibility isn’t my strongest skill. However, here’s what I learned after spending seven weeks abroad. The World is a VERY Small Place! I was sitting comfortably on a bus headed back to my apartment after a long walk in the Tuscan countryside. A young couple hopped on the bus and asked, in broken Italian, if I knew if this bus was headed towards a certain plaza. I smiled and said back, “Dispiace, solo Inglese.” (“Sorry, only English” – a phrase I got very good at saying!) The young woman smiled and said “Oh good! Me, too!” We started chatting, I assured her she was headed the right direction, and she asked where I was from. “Texas – a little town called Temple, you’ve probably never heard of it.” Her eyes grew larger and she started laughing, “Are you kidding? I JUST left Temple! I’m a medical student and did my rotations at the hospital there! I can’t believe this!” The twenty minute bus ride flew by while we both laughed about life in Temple. We exchanged emails and have stayed in touch. I still cannot believe I met a local Texan on a bus in Florence. The odds of that happening seem very unreal. But it happened. And it really taught me that no matter how alone in the world I might feel, I bet if I reach out and start talking to people around me, I’ll be surprised at what I discover. I’m pretty sure we’ve all felt that way at one time or another. I broke off from my group and took a long walk through the Tuscan countryside. The view was worth all the effort and the ride home was where I met my neighbor from Temple! I wouldn’t have met her if I hadn’t taken a risk and taken that walk! While in Italy I learned I could do just fine with very little. I had a fixed budget while abroad and it had to last the full seven weeks. I wasn’t on a work or student visa, so I couldn’t have worked even if I had needed/wanted to. I quickly learned how to budget and live simply. Breakfast was normally comprised of peanut butter with jelly and coffee – made at home. Instead of taking in a movie at the cinema, a walk through a park was just as relaxing. Also, one thing in particular I noticed: the small housing in Italy was so well utilized it really made me wonder why Americans dream of living in huge houses. Typical row houses you see all over Italy. These were in Burano, an island near Venice. They aren’t very large at all. But the people live comfortably in them and seem happy within their communities. I spent seven weeks in Italy without a vehicle. For this busy mom of four who clocks 100 mile days on the regular, being without a vehicle took some getting used to. But by the end of my seven weeks abroad I had not only really come to enjoy walking everywhere, or taking public transportation, but I also lost 15 lbs! I ate all the pasta and pastries I wanted…and I lost FIFTEEN pounds! (Listen, I’m just an average mom who has an average amount of love for fitness regimens!) Sure there were some days where we were doing a LOT of walking because we were on an excursion. But most of the walking I did was just in “activities of daily living” as they say. I have lived in suburbia or even on the outskirts of suburbia all my life. Living without a vehicle was something completely foreign to me. In fact, even though in my Public Administration major I have taken classes on urban planning and development, sustainable design, and walkable cities, I have never really understood how one could actually LIVE without a vehicle. Now that I’m back in Texas, and I’m driving **all over the place** (Texas is gigantic) I genuinely miss the pedestrian-focused Italian lifestyle. In my opinion and experience, it’s a much healthier way to live. I would never have been able to understand this concept had I not experienced it first hand. These pedestrian-only streets are common all over Italy. Foot traffic or bicycles only. Sometimes Vespas or motorcycles are allowed – but most of the time even those are forbidden. While I was walking to work one morning, an elderly man approached me and asked me for directions to a building. To my surprise, I instantly knew what building he was talking about and was able to navigate him around the area. This experience may not seem to be much, but to me, it meant I was fully integrated into the Singaporean way of life. In that moment, I no longer felt like I was a “foreigner” studying and working in Singapore, but I truly felt like I was a local Singaporean and that I had fully adapted to the country I am studying in. However, this was not always the case as I did experience a huge culture shock when I first arrived in Singapore. The symbol for Singapore is the Merlion. Its head represents Singapore’s original name, Singapura (or “Lion City” in Malay) and its body represents Singapore’s humble beginnings as a fishing village. When I first arrived in Singapore, I was so excited to start my journey because it was my first time traveling outside of North America. I tried to visit and eat as many things as possible during my first few days here with my fellow university students. However, once a week or two passed by and I had started my internship every weekday from 9 to 5, and I started to feel a little bit lonely. I lived in a single room, and that was honestly one of the reasons why I often felt alone during my time here. Unlike the dorms in the United States where the halls are alive and students would hang out with each other in the lounge, the dorms here are the exact opposite. First of all, it was during the summer, so there was barely anyone on campus. Everyone from my university was spread out and lived in different buildings, so it was really hard to find someone to talk to especially during week nights. Because everyone had a full time internship that usually didn’t end until 6 PM, it was really hard to balance working and socializing during the first few weeks. Furthermore, there was no lounge area in the dorm for people to sit in and socialize which made it harder for me to stumble into new people and talk to them. As a result, during the first few weeks of my time in Singapore, I often felt like I had no one to turn to. I often felt homesick and missed my family and friends at home. Thankfully, we tried to keep in touch as often as possible even with the huge time difference, which definitely helped me deal with the new environment. I lived in a single room at one of the residences at the National University of Singapore. Work was also a huge difficulty, as the work culture is so different from the United States. Singaporean work culture is definitely very different from the United States’ work culture. One of the biggest shocks that I have experienced is how employees really value teamwork and collectivism. What I mean by this is unlike the United States where individual achievement is highly valued, Singaporeans focus more on working together to achieve success. In a collectivist culture, Singaporeans strive to work together, share responsibilities, and achieve rewards together rather than strive for individual recognition. I learned this when I was working with my supervisor who was nominated for a Media of the Year award. When working on a video to highlight her achievements, she told me to focus on her whole team as they are the ones who helped her get where she is today. Another thing I have noticed is how hard Singaporeans work and how punctual they are. Working hours are usually from 9 AM to 6 PM but almost everyone stays past 6 PM. I asked several people on my team why they always stay later than their work hours, and they said they usually stay until 8 or 9 PM in order to finish everything and prepare for tomorrow. I never thought I would have to work overtime as an intern, but I actually had to work overtime on many occasions. There was one time where I had to stay past 11 PM in order to meet deadlines as everyone was piling workloads on me. However, this was a time when the Singaporean “collectivist” value came into play as a lot of my coworkers offered to pick up my work and help me out. In fact, during the night where I had to work overtime, one coworker stayed with me to make sure I finished everything by the deadline. Although work was very difficult and I had a lot more responsibilities than I had anticipated, I was very fortunate to be surrounded by people who cared which helped me adapt to the culture. Everyone’s so busy and concentrated on their work. OMD is not ranked as the best media agency in the world for no reason! I love my team at OMD! I learned so much from such awesome people! This picture was taken during my first excursion in Singapore with new friends that I met. Singapore’s architecture and city plan is honestly the best in the world. Lastly, although many people criticize Singapore’s work culture to be very hierarchical, my company is quite different. In fact, everyone is very chill and friendly towards one another and often makes jokes too. Even an intern like me who is here for just two months can make fun of my bosses. I had to direct a video for my supervisors to use for a sales pitch and during the filming process, we did a lot of silly things in front of each other. I had full creative license during the process and could do anything I wanted. As a result, I felt like my company had more of a laid-back and Western cultural approach. Now being back in the United States, I realize how diverse Singapore is. At my workplace, there were people from all parts of the world: China, India, Russia, Australia, and so many more. This is my favorite part about Singapore and the thing that I will take with me the most. I believe that each person can and must learn from other cultures in order to grow and create a more harmonious society. My company celebrating Chinese New Year. I was a little hesitant to study abroad at first not only due to my financial situation but also because it would be my first time traveling outside of North America. However, this experience in Singapore has exceeded all my expectations. I have never seen a place so diverse, clean, regulated, and architecturally stunning as The Lion City. Throughout my time here, I have learned so much about not only Singaporean culture, but also my role as a global citizen in this globalized world. Using my internship and courses, I have noticed how Singapore and my workplace can be described as a unique mix of Asian and Western cultural influences due to the increasing amount of globalization. Furthermore, I definitely feel like I have grown and become more independent. I have never felt more “adult” as I did when I commuted to work using the public transportation, bought my own meals, and planned out my schedule every day. I will continue to use what I learned during my time here in Singapore to become a better global citizen. To anyone who is thinking about studying or interning abroad in Singapore, please do it! Everyone here is so friendly and willing to share their experiences and if you’re a foodie and photography junkie like me, this will be absolute heaven! I am so grateful to have this opportunity to experience the Lion City up close and personal! Hello, my name is Sarah, and I am your classic introvert. I like to be alone more than in a group. I prefer the company of those I know to that of strangers. And I like to be home, with my family, more than anywhere else. If you haven’t noticed, my comfort zones are completely juxtaposed to everything a study abroad experience would bring to the table. I am easily overstimulated by new environments, experiences, and challenges. This over-stimulation drains my energy, negatively impacts my mood, and creates frustration in basic day-to-day activities. I knew things would be stressful so I also knew that taking care of myself would be the “make it or break it” aspect of the experience. In this blog post I share a things I did that helped me manage myself through the experience as best I could. Also, it’s important to disclose…I wasn’t always successful at managing myself. I had a few situations where I lost my patience with a situation, my tone of voice with a peer, or complete tolerance for an activity at hand. But every student in the group seemed to have a tipping point here or there, so I didn’t sweat it too much. Whirlwind activity (like knocking out 6 honors college credits in 4 weeks in Italy) can stir up a lot of anxiety and unease! On top of all the requirements for classes, adjusting to a new country, new language, and new everything, there are roommates, classmates, and teachers to deal with and the dynamics of a large group can wear me down. So how did I manage to make it through four weeks of Italian Life & Culture with twenty students, a very extroverted Professoressa, and various teachers, directors, and tour guides to deal with? Basically I gave myself permission to opt out of many activities that were not mandatory. In Florence, we had a few days where there was nothing planned. On those days, students would take off on extra excursions and I was usually invited but I always declined. This meant I missed getting to see Cinque Terre, but it also meant I had the ENTIRE apartment completely to myself ALL DAY LONG! I slept late, walked to the corner cafe for an espresso & pastries, visited a little antique shop I had been eyeing, and then I holed up in the apartment for the rest of the day and did nothing except watch Netflix, wash my laundry, and order pizza for dinner delivery. It. was. amazing. Things I would never find at a local flea market in Texas: vintage geographical map of Florence, glass eyes for stuffed animals, doll parts, and books dating to the 1600’s! One of my favorite things to do was to get up early before everyone else and get out the door so I could do some exploring of whatever city we were in, on my own. By 10:00 am, Italy was hot and humid and miserable until around 6:00 pm when the evening breeze would kick in. Getting out to see the sights before the heat of the day kicked in was always a treat for myself. Likewise, when ever I could squeeze in some alone time during the class days via breaks in between classes and required excursions, I would just walk around and explore the area on my own. I left the apartment two hours before class started in order to get to Michaelangelo Plaza and watch the sun wake up Florence. And this photo doesn’t even do the experience justice. When we were in Sorrento, a bunch of the students went to the local Discoteca and not surprisingly, I declined. A loud, crowded, hot, dance floor with a disco ball and stroke-inducing lights sounded just absolutely awful. (Remember, I’m 41. I’ve already done all that!) Instead, I grabbed a bite from a local deli and took a quiet solitary stroll along the Mediterranean sea at sunset. It was just what I needed after a long day of service-learning at a local home for differently-abled adults. Better than any sunset I’ve ever seen in my entire life! Totally worth ditching the Discoteca! Be able to manage your energy and mood while abroad. Be able to function in your new environment. Be able to succeed in your academic responsibilities. Be able to enjoy your ex[erience abroad. I knew that spending a summer studying abroad in Italy would completely turn my daily life on its heels. But I also knew that the experience would be worth every challenge that came with it. Going into the program with an open mind, willingly accepting the challenges to come, and knowing that I would need to be my own caretaker, truly helped me get the most out of my program. In closing, take care of yourself while abroad to maintain your sanity and your sense of balance during what will be an overwhelming and challenging time in your life. But, if you are proactive in self-care, you will get the most out of your program. And as a bonus – if you take some solitary walks when you’re abroad, you will discover some really cool places in the city you are studying! Discovered this quaint 17th century church on a solitary hike around the hills of Sorrento. I’ve researched and researched and cannot find mention of this church anywhere else on the internet and my Professoressa had never seen it before. A mystery! Something to investigate next time I’m in Sorrento!